When I was a boy my uncle and his big boys hunted with the rifle, the youngest boy Fred and I with a shotgun--a small single-barrelled shotgun which was properly suited to our size and strength; it was not much heavier than a broom. We carried it turn about, half an hour at a time. I was not able to hit anything with it, but I liked to try. Fred and I hunted feathered small game, the others hunted deer, squirrels, wild turkeys, and such things. My uncle and the big boys were good shots. They killed hawks and wild geese and such like on the wing; and they didn't wound or kill squirrels, they stunned them. When the dogs treed a squirrel, the squirrel would scamper aloft and run out on a limb and flatten himself along it, hoping to make himself invisible in that way-- and not quite succeeding. You could see his wee little ears sticking up. You couldn't see his nose, but you knew where it was. Then the hunter, despising a "rest" for his rifle, stood up and took offhand aim at the limb and sent a bullet into it immediately under the squirrel's nose, and down tumbled the animal, unwounded, but unconscious; the dogs gave him a shake and he was dead. Sometimes when the distance was great and the wind not accurately allowed for, the bullet would hit the squirrel's head; the dogs could do as they pleased with that one--the hunter's pride was hurt, and he wouldn't allow it to go into the gamebag. 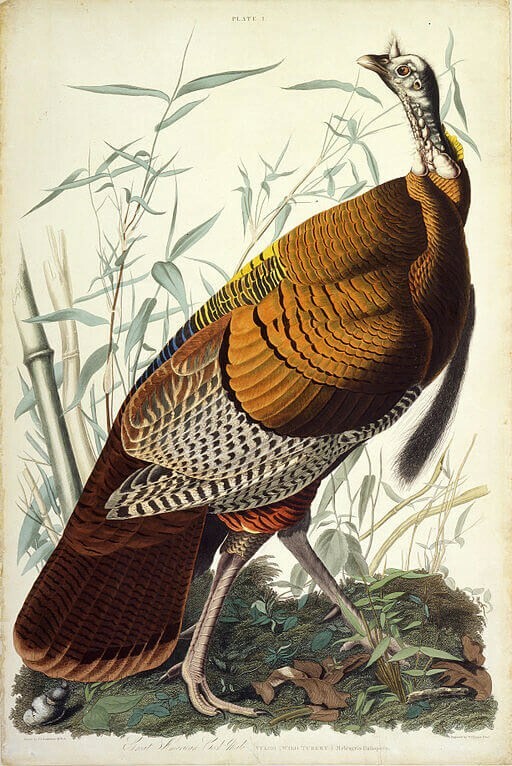 In the first faint gray of the dawn the stately wild turkeys would be stalking around in great flocks, and ready to be sociable and answer invitations to come and converse with other excursionists of their kind. The hunter concealed himself and imitated the turkey-call by sucking the air through the leg-bone of a turkey which had previously answered a call like that and lived only just long enough to regret it. There is nothing that furnishes a perfect turkey-call except that bone. Another of Nature's treacheries, you see. She is full of them; half the time she doesn't know which she likes best--to betray her chid or protect it. In the case of the turkey she is badly mixed: she gives it a bone to be used in getting it into trouble, and she also furnishes it with a trick for getting itself out of the trouble again. When a mamma-turkey answers an invitation and finds she has made a mistake in accepting it, she does as the mamma-partridge does--remembers a previous engagement--and goes limping and scrambling away, pretending to be very lame; and at the same time she is saying to her not-visible children, "Lie low, keep still, don't expose yourselves; I shall be back as soon as I have beguiled this shabby swindler out of the country." When a person is ignorant and confiding, this immoral device can have tiresome results. I followed an ostensibly lame turkey over a considerable part of the United States one morning, because I believed in her and could not think she would deceive a mere boy, and one who was trusting her and considering her honest. I had the single-barrelled shotgun, but my idea was to catch her alive. I often got within rushing distance of her, and then made my rush; but always, just as I made my final plunge and put my hand down where her back had been, it wasn't there; it was only two or three inches from there and I brushed the tail- feathers as I landed on my stomach--a very close call, but still not quite close enough; that is, not close enough for success, but just close enough to convince me that I could do it next time. She always waited for me, a little piece away, and let on to be resting and greatly fatigued; which was a lie, but I believed it, for I still thought her honest long after I ought to have begun to doubt her, suspecting that this was no way for a high-minded bird to be acting. I followed, and followed, and followed, making my periodical rushes, and getting up and brushing the dust off, and resuming the voyage with patient confidence; indeed, with a confidence which grew, for I could see by the change of climate and vegetation that we were getting up into the high latitudes, and as she always looked a little tireder and a little more discouraged after each rush, I judged that I was safe to win, in the end, the competition being purely a matter of staying power and the advantage lying with me from the start because she was lame. Add Hunting The Deceitful Turkey to your own personal library.